Kate Faust remembers the first time she heard Jeff Buckley. She also remembers the first time she heard Bjork. And Jill Scott. And Tom Petty. She remembers the dinky little keyboard her father bought her as a child and how she begged for a real one when she was a teenager. She remembers taking care of her grandfather as an Ella Fitzgerald and Louis Armstrong CD played in the background. Recently, she found a journal she had written in as a child, where there was a full-blown song that she still remembers the melody to. She mapped out the chorus, the verses, everything. She played in different bands of different genres but always knew she belonged on her own. As she began creating her own records, she made everything herself. Her voice is big in more ways than one, and she wanted that big voice to stand out in its own way. Her latest EP, Savior, actually steps out of that comfort zone and back into working with others. This time around, Faust worked with two other producers to create a blend of styles and genres that explore different themes. She also wanted to change up her writing style to focus more on the audience and think more about where and how the songs would live. While she was still writing music for herself, she was also taking into account the credit that the songs deserve. 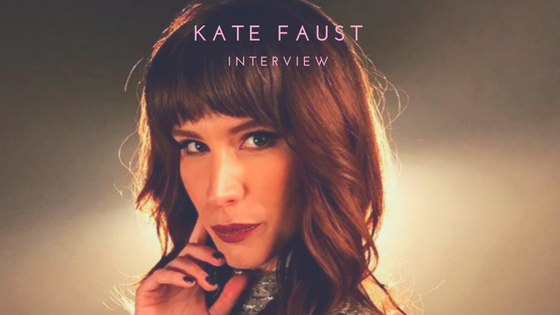 Kate Faust remembers the music that surrounded her as a child and the music that surrounds her as an adult. She remembers how to express herself creatively. Most importantly, she remembers who she wants to be.